S. Gao, C.W. de Silva, “Estimation distribution algorithms on constrained optimization problems,” Applied Mathematics and Computation, 339, pp.323-345, 2018. C. Wang, D. Zhu, T. Li, M.Q.H. Meng, C.W. Silva, “SRM: An Efficient Framework for Autonomous Robotic Exploration in Indoor Environments,” arXiv preprint arXiv:1812.09852, 2018. L. Falch, C.W. 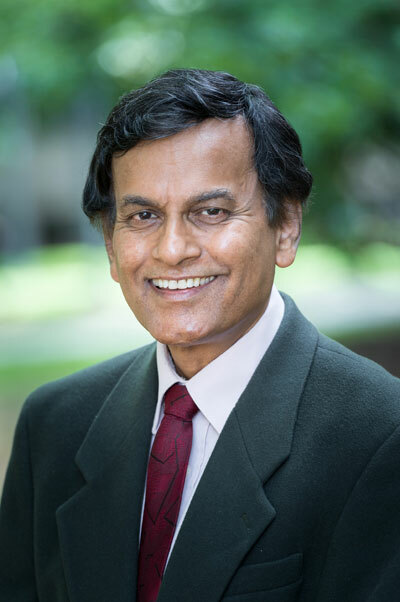 de Silva, “Fuzzy Techniques to Reduce Subjectivity and Combine Qualitative and Quantitative Criteria in a Multi-objective Design Problem,” In 2018 IEEE 9th Annual Information Technology, Electronics and Mobile Communication Conference (IEMCON) (pp. 42-48). IEEE, 2018. I.M. Gadala, M.S. Gadala, C.W. de Silva, “Automated design and optimization of industrial motion control machines: verification and a case-study,” In Journal of Physics: Conference Series (Vol. 1074, No. 1, p. 012181). IOP Publishing, 2018. S. Premasiri, C.W. de Silva, L.B. Gamage, “A Multi-sensor Data Fusion Approach for Sleep Apnea Monitoring using Neural Networks,” In 2018 IEEE 14th International Conference on Control and Automation (ICCA)(pp. 470-475). IEEE, 2018. C. Wang, T. Li, M.Q.H. Meng, C.W. De Silva, “Efficient Mobile Robot Exploration with Gaussian Markov Random Fields in 3D Environments,” In 2018 IEEE International Conference on Robotics and Automation (ICRA)(pp. 5015-5021). IEEE, 2018. L. Meng, F. Tung, J.J. Little, J. Valentin, C.W. de Silva, “Exploiting Points and Lines in Regression Forests for RGB-D Camera Relocalization,” In 2018 IEEE/RSJ International Conference on Intelligent Robots and Systems (IROS) (pp. 6827-6834). IEEE, 2018. J. Chen, T. Li, T. Shu, C.W. De Silva, “Rapidly-Exploring Tree With Linear Reduction: A Near-Optimal Approach for Spatiotemporal Sensor Deployment in Aquatic Fields Using Minimal Sensor Nodes,” IEEE Sensors Journal, 18(24), pp.10225-10239, 2018. H. Lang, Y. Wang, C.W. de Silva, “Semi-empirical modeling and parameter analysis for the development of a high speed resistance-welding process,” International Journal of Modelling and Simulation, 38(3), pp.150-158, 2018. L. Falch, C.W. de Silva, “An Approach to Optimize Multiple Design Objectives With Qualitative and Quantitative Criteria for a Wearable Body Sensor System,” IEEE Sensors Journal, 18(23), pp.9708-9717, 2018. M. Xia, T. Li, L. Xu, L. Liu, C.W. de Silva, “Fault Diagnosis in Rotating Machinery through Multiple Sensors and Convolutional Neural Networks,” IEEE/ASME Transactions on Mechatronics, 2017. M. Xia, T. Li, L. Liu, L. Xu, S. Gao, C.W. de Silva, “Remaining useful life prediction of rotating machinery using hierarchical deep neural network,” In 2017 IEEE International Conference on Systems, Man, and Cybernetics (SMC) (pp. 2778-2783). IEEE, 2017. T. Li, M. Xia, J. Chen, S. Gao, C.W. de Silva, “A hexagonal grid-based sampling planner for aquatic environmental monitoring using unmanned surface vehicles,” In 2017 IEEE International Conference on Systems, Man, and Cybernetics (SMC) (pp. 3683-3688). IEEE, 2017. S. Gao, C.W. de Silva, “A univariate marginal distribution algorithm based on extreme elitism and its application to the robotic inverse displacement problem,” Genetic Programming and Evolvable Machines, 18(3), pp.283-312, 2017. C. Wang, L. Meng, T. Li, M.Q.H. Meng, C.W. De Silva,”Towards autonomous exploration with information potential field in 3D environments,” In 2017 18th International Conference on Advanced Robotics (ICAR) (pp. 340-345). IEEE, 2017. Khoshnoud, I.I. Esat, C.W. de Silva, M.M. McKerns, H. Owhadi, “Self-powered Dynamic Systems in the Framework of Optimal Uncertainty Quantification,” Journal of Dynamic Systems, Measurement, and Control, Transactions of ASME, 2017. A. Saliba, C.W. de Silva, “Quasi-dynamic Analysis, Design Optimization, and Evaluation of a Two-finger Underactuated Hand,” Mechatronics, vol. 33, pp. 93-107, 2016. M.K. Tabatabaei, S. Behbahani, C.W. de Silva, “Design Evolution and Synthesis of Multi-domain Engineering Systems Using Artificial Immune System,” Mechatronics, vol. 39, pp. 103-112, 2016. Samarakoon, L. Gamage, C.W. de Silva, “Design Evolution of Engineering Systems Using Bond Graphs and Genetic Programming,” Mechatronics, vol. 33C, pp. 71-83, 2016. De Silva, C.W., MODELING OF DYNAMIC SYSTEMS—With Engineering Applications, Taylor & Francis/CRC Press, Boca Raton, FL, 2017. De Silva, C.W., SENSOR SYSTEMS—Fundamentals and Applications, Taylor & Francis/CRC Press, Boca Raton, FL, 2017. De Silva, C.W., SENSORS AND ACTUATORS—Engineering System Instrumentation, 2nd Edition, Taylor & Francis/CRC Press, Boca Raton, FL, 2016. De Silva, C.W., Mechanics of Materials, Taylor & Francis/CRC Press, Boca Raton, FL, 2014. De Silva, C.W., Mechatronics—A Foundation Course, Taylor & Francis/CRC Press, Boca Raton, FL, 2010.